Back in the Saddle...The Paddle Saddle, that is.. 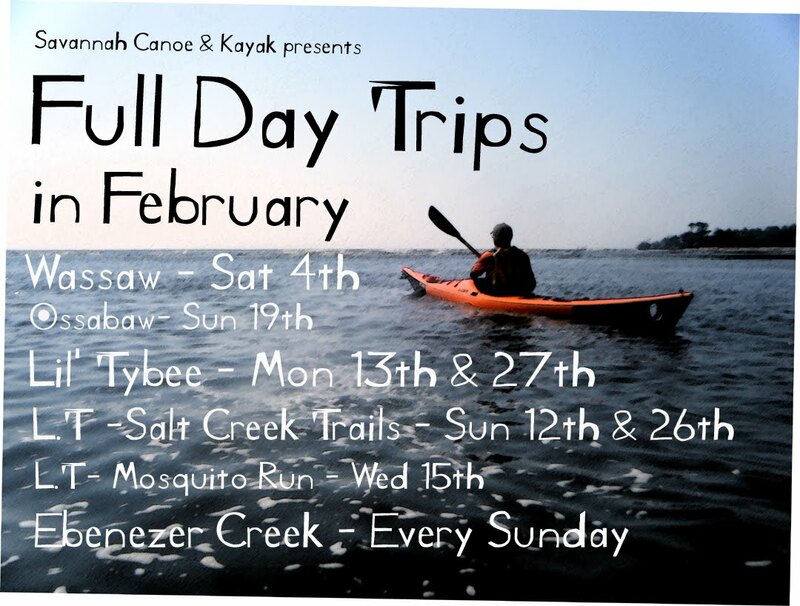 Welcome Back, Savannah Canoe and Kayak. That was the headline on the front page of this morning's Daily Cranium. 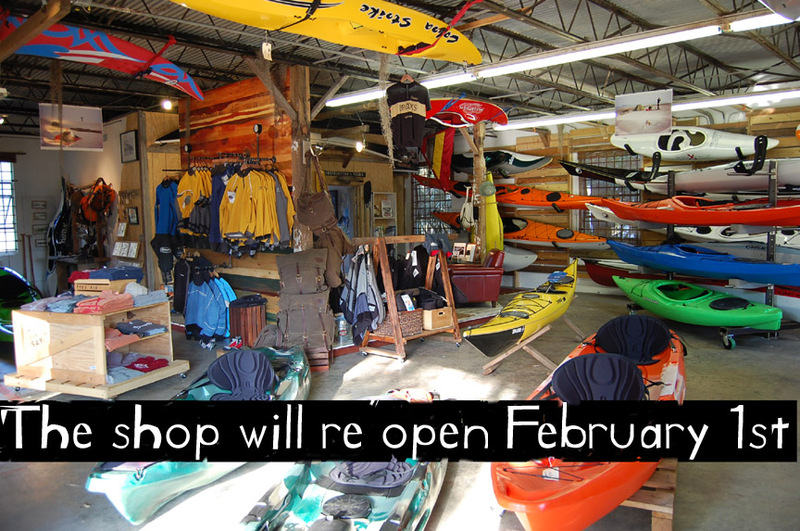 The shop will be fully open come February 1st, and all programs will resume, come rain or shine. It's good to be back and we are more than excited about the coming season...our 10th in business and our 15th in marriage! Due to continuing austerity measures, we did not go off adventuring this winter. We had hoped to come back fresh with stories of lost tribes in lands without cell phone towers or credit card machines, but hey, we painted the bedroom and hung out downtown. And our neighbourhood can be pretty 'third world' at times, so that made up for it. So, aside from the continuing onslaught of micro-processor technology and fewer jobs, what else is new? 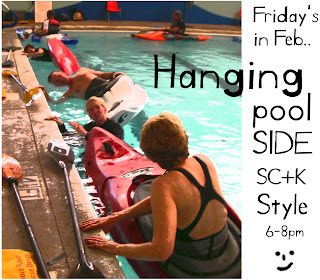 February is 'kayak in the pool' month. 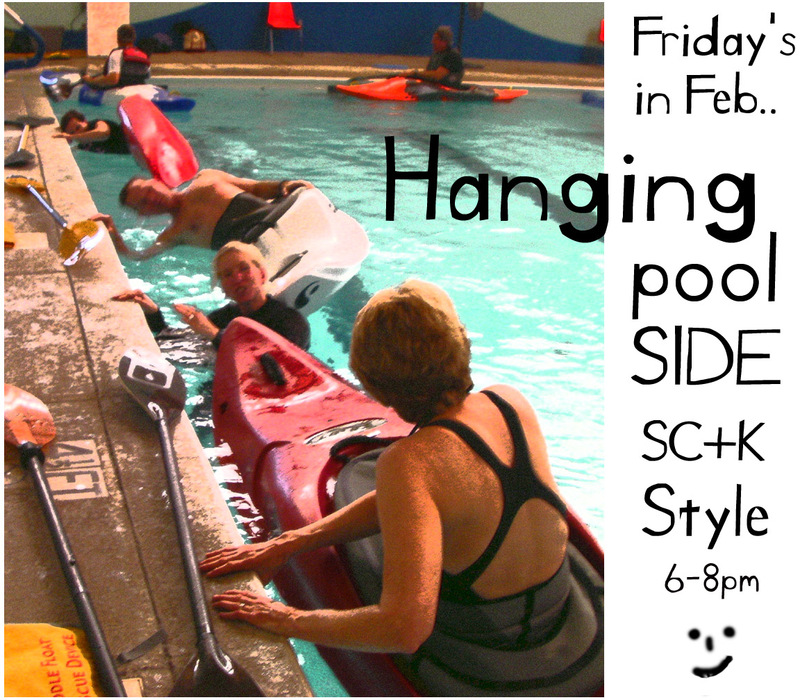 Every Friday from 6-8 we will be holding both organized and unorganized pool sessions. For $25 you can come and practice your thing, with your own boat. For $50 we have several safety and rescues classes scheduled. Space is limited, so reserve your place now. Short boat and Greenland kayak rentals are available. Talking of Greenland...Tahe boats will be showing up on our racks in March, and ACA Instructor Kelly Dmetruk will be conducting our greenland skills program this year. Kelly, as many of you may know, is our 'Sunday Girl'. Kelly, as you may not know, is also an avid traditionalist in the kayak sense...in fact, the first kayak she ever paddled, some 6 years ago, was a 'skin on frame' West Greenland-style that she made herself. Aside from an extensive inventory of rolls, Kelly's teaching skills make her another great asset to the SC&K team. So if you want to learn the effortlessness of the silke, or experience the roots and culture of the 'paddle hunter', swing by for a cuppa cariboo brew and some smoked blubba. We'll hook you up. Tidelogs are back. Tidelogs are in! That is the resounding cheer of joy and approval here at Savannah Canoe, as a good friend of ours saves this 'hard copy' nautical almanac from the depths of another bygone era. So much more than just the paddlers tidal bible, this little gem tells us 'who we are' and 'when we should be there'. Keep one in your car and one in your desk for inspiration and spontaneity. Yes, we know you have an app for that, but Tidelog has spiral-bound pages with ink and graphics and all that good stuff. 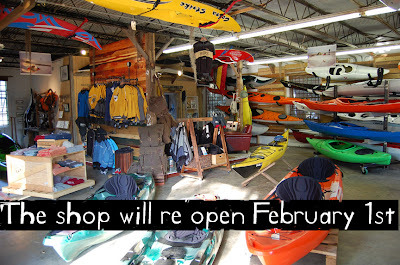 Full Days In Feb. Lots of paddles planned for February. 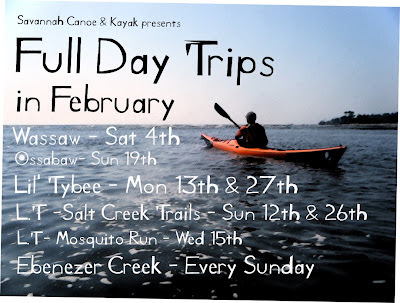 Half Day trips run every day except Tuesdays, and 7 Full Day trips are scheduled for the hardier paddler...Ossabaw on the 19th, and Ebenezer every Sunday.. 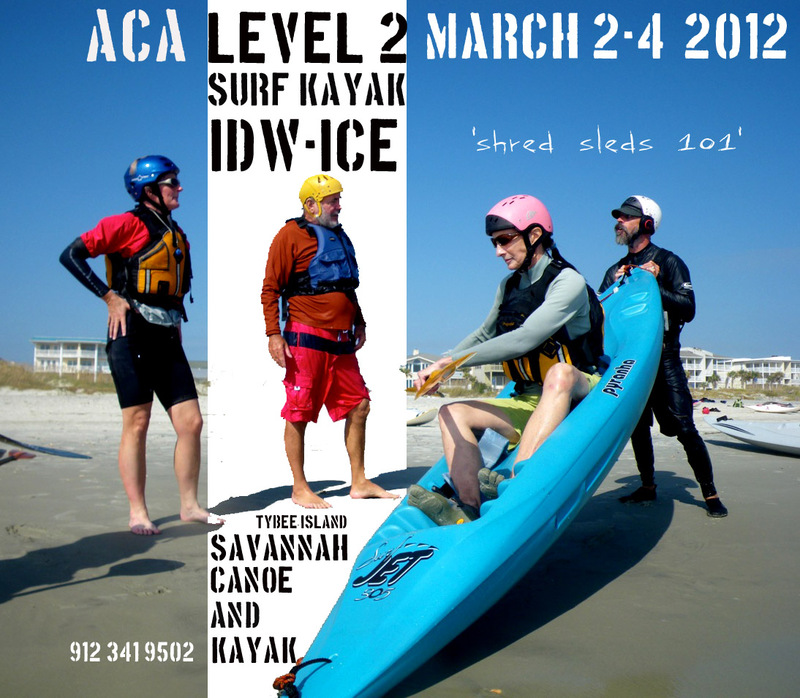 Calling all surf paddlers...We have an ACA L2 Surf Kayak Instructor Workshop and Exam at the beginning of March. We are big proponents of sit down surfing... it's fun and easy and really catching on!! If you have an aptitude for the surf and are already an instructor in another discipline, this is a great workshop. Some, but not much, previous experience is required. "It's really about beach safety and etiquette for the beach break user," said one of the Instructor Trainers earlier today. And he should know, right? See you at the beach, amigos!